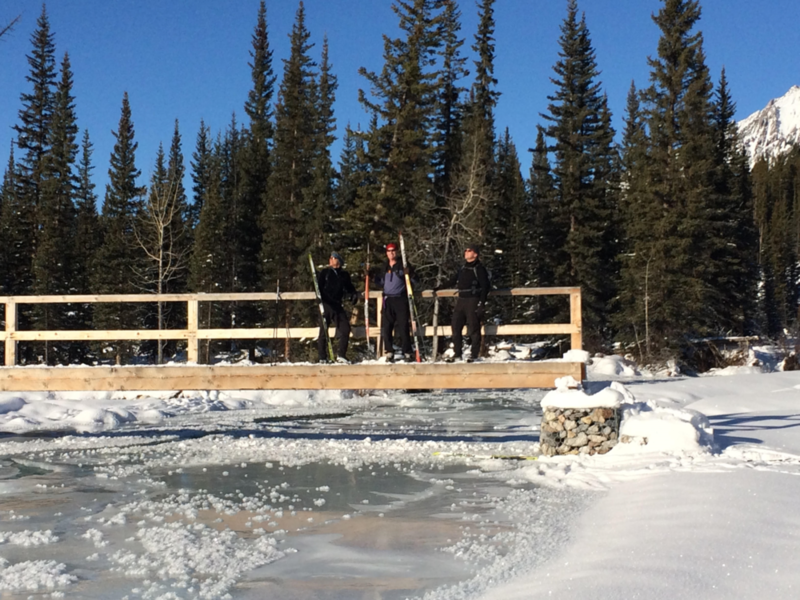 Sat Nov28: A xc skier's day in paradise. Sunshine, blue skies, -10 temp and new track set trail. 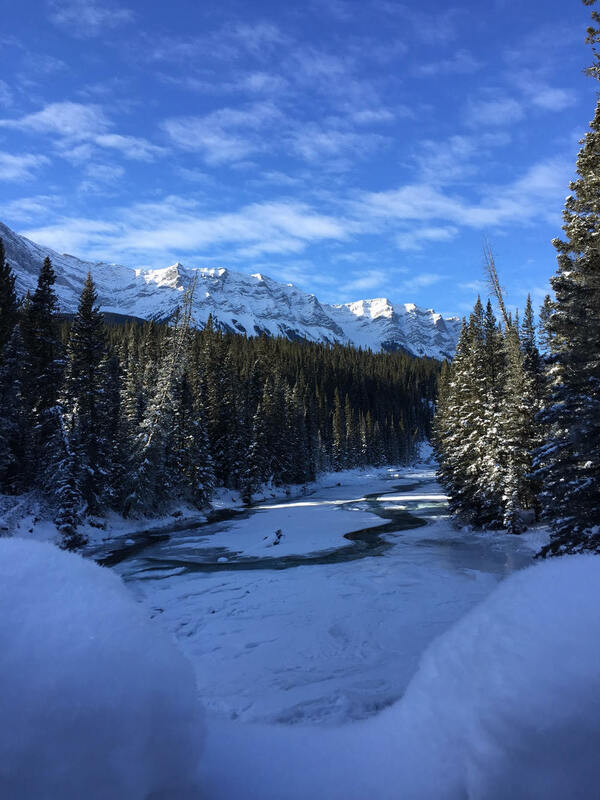 We set out on Cascade Trail near Banff and enjoyed a fun classic ski; 29 km return. The snow was great and the sun shone brilliantly , especially nice at our rest stop@ Wardens' cabin. The return ski back was fast and even had time for a little "MOVEMBER" snowy fun on the bridge.